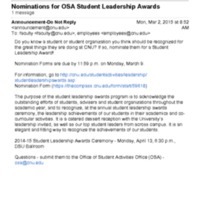 Nomination application included in the brochure. 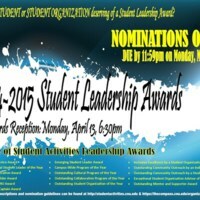 Program for the Student Leadership Awards presented by the Office of Student Activities. 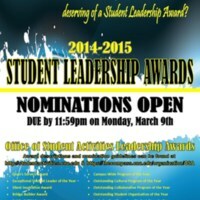 Nominations for the 2014-2015 Student Leadership Awards is NOW OPEN! 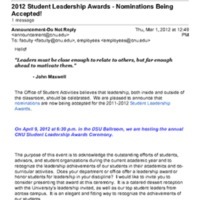 2.33 D 2012 Student Leadership Awards - Nominations Being Accepted!